You can also make them ahead so you don’t miss too much of the game (or the commercials, depending on your preference). Just pop it in the fridge instead of baking, and then let it stand at room temperature for about 10 minutes when you’re ready to bake. Looking for more game day inspiration? Here are more fabulous football-ready recipes from fellow bloggers! Your favorite hot dog toppings – chili, cheese, chopped onions, ketchup, mustard, relish, etc. Line a 9×13″ baking pan with parchment. Place the bottoms of the slider rolls in the pan. Cut the hot dogs in half legth-wise, and then in half again width-wise – the hot dogs should be quartered, with a side to lay flat. Place two quarters flat-side down on each slider roll. Top off each hot dog with your favorite toppings. If you have picky eaters, this is a great opportunity for them to create their own! Mix and match the pan for your crowd’s tastes. Place the tops of the rolls on each slider. In a small bowl, whisk together the melted butter, onion powder, Worcestershire, and dijon mustard. Brush over the tops of the slider rolls and let sit five minutes to absorb. Sprinkle with sesame seeds, then cover the pan with foil. Bake for 15 minutes, until hot throughout. Remove foil and bake for an additional 5 minutes to toast up the tops of the buns a bit. Serve immediately. Such a great idea! My guys are going to love these! 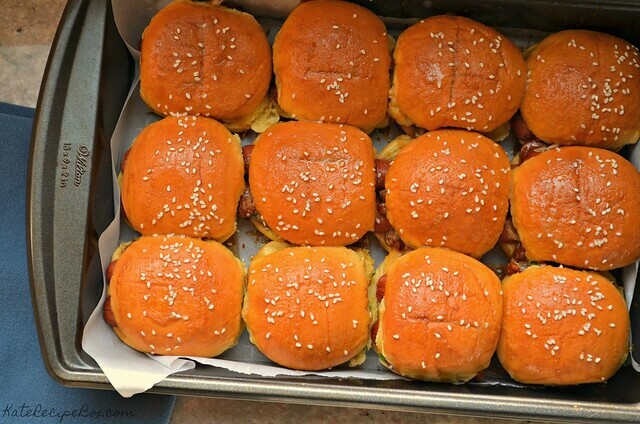 Sliders are such fun party food! This will be a hit for sure! Loving these little hot dog sliders. What a fun way to watch the game. What a great way to change up hot dogs! These look so yummy! My boys would absolutely love the idea of a hot dog slider! My husband and son would love this! This is such a great idea! I bet my grandsons would go nuts over these. My daughter would love these. She thinks hot dogs should be served every other day. This is so creative! I bet the kiddos just loved it because I know mine would! I’ve never thought about making sliders with hotdogs before, but now I don’t think my husband will let me make them any other way! What a cute and yummy way to switch up hot dogs! Hot dogs are a classic game day food! 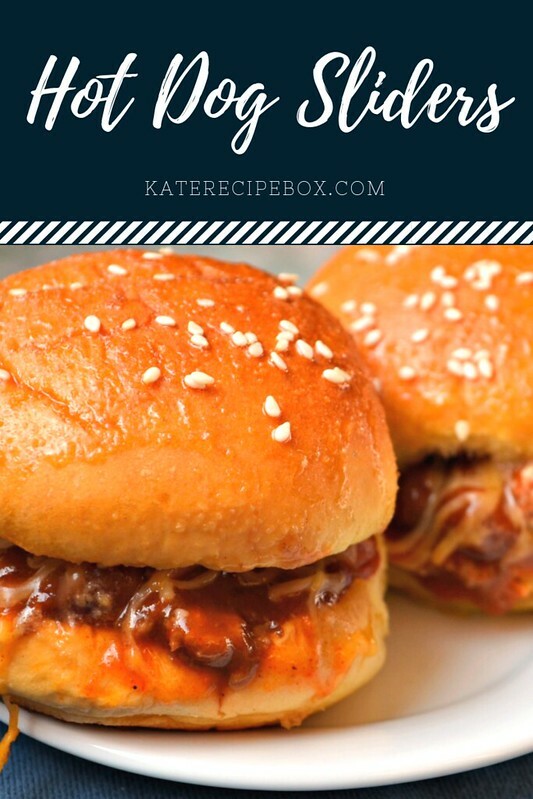 I love that you jazzed them up by turning them into sliders and adding that tasty sauce on top!